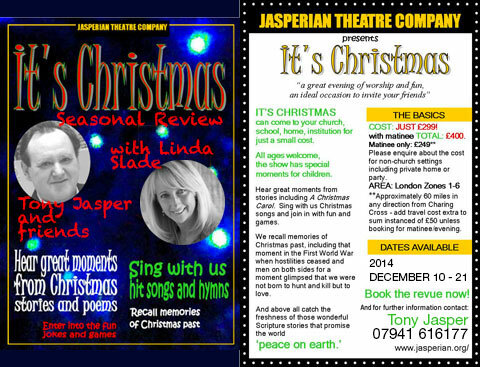 The Jasperian Theatre Company's Seasonal Review for 2014 featuring Christmas stories, poems, hit songs and hymns. Book the Review now, call Tony Jasper on 07941 616177. JTC hit Cornwall in July with a new revue show devised and written by Tony Jasper, That’s the Way It Is. 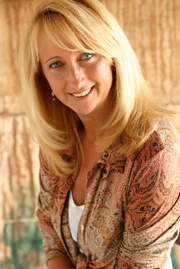 Star of the revue is British and Los Angeles actress and voice coach Linda Slade (above). 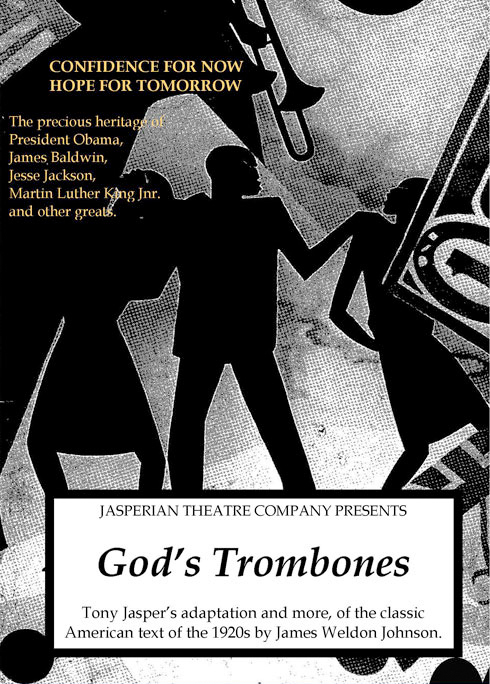 Autumn 2014 should see a revival of the highly successful music drama God’s Trombones. Material is adapted from the famous book of the same name by the revered James Weldon Johnson. In its first life the production’s cast was Miquel Brown, Emma Laird-Craig, Kay Headley, Leslie-Ann Miller, Tony Jasper an d MD, David Williams. Pictures are those from the first tour. The production is expected to tour in Black History month in October. Over the years the Jasperian Theatre Company has produced a series of plays for Lent and Easter. These have been extremely well received, and churches and groups have spoken of positive input into the life and witness of their fellowship. JTC is a professional theatre company that offers its work to theatres, schools, churches and beyond.